Microsoft Office Outlook is Microsoft’s personal information management software, featuring e-mail, calendar, tasks, notes, journal, and subscription management. 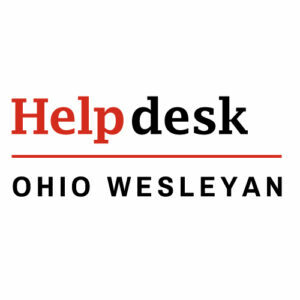 Note: To use Outlook with OWU BishopMail, you must must first get an application password for it. See here for more information. 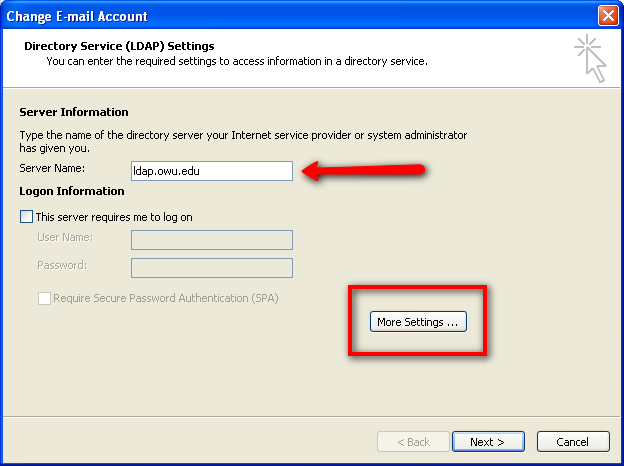 For information on setting Outlook as a mail client for BishopMail, see these recommended IMAP client settings from Google. For Outlook 2010, click on the File tab. It should show you Account Information. Click on the ‘Account Settings’ button, then select ‘Account Settings…’ from the pop-up menu. 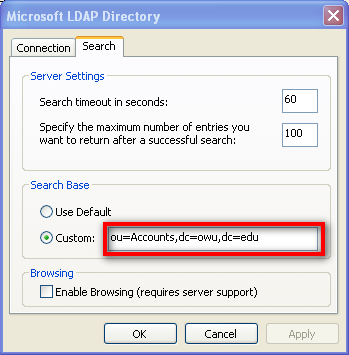 Make sure the dot is in front of Internet Directory Service (LDAP) and click the Next > button. Click the Next > button, then the Finish button. 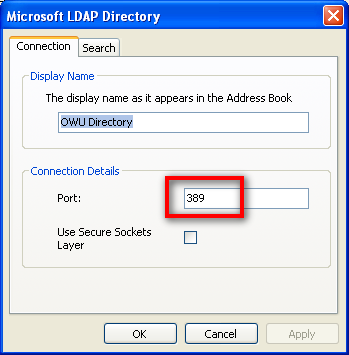 Close and restart Outlook for this new directory to be available. This will allow you to use the Check Names feature when composing a message. Try running the Inbox Repair Tool for Outlook 2003, Office Diagnostics for Outlook 2007, or Inbox Repair Tool for Outlook 2010. To access Office Diagnostics, select it from the Help menu in Outlook.